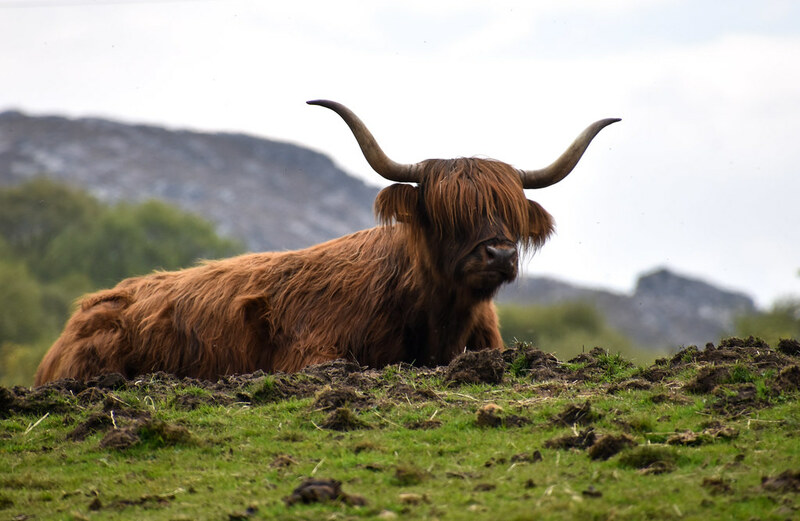 Torridon - "A Drink?! You can buy f&@%ing dinner!" 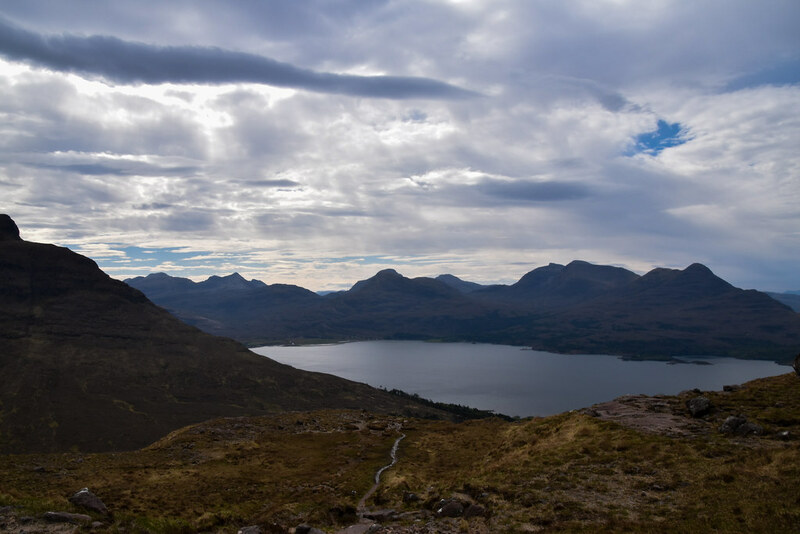 Torridon - A Drink?! You can buy f&@%ing dinner! 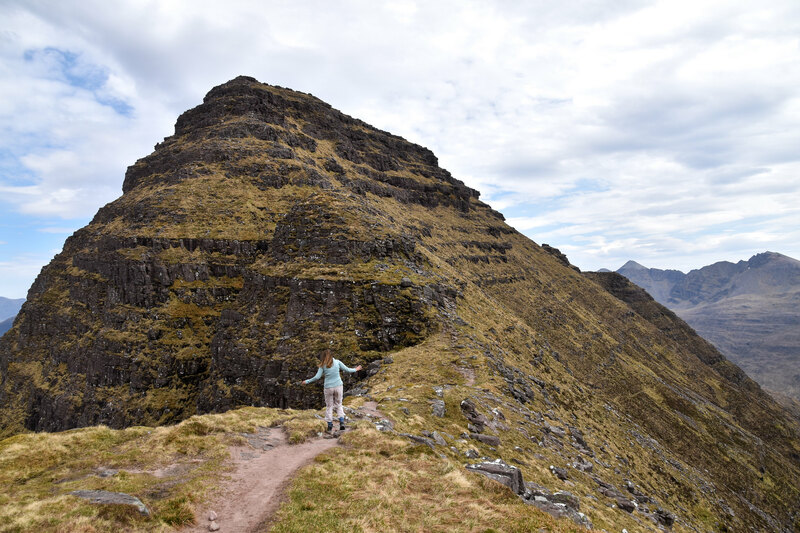 Have you ever heard the old saying, "you can take the girl out of Erskine, (make her set a 05:30 alarm whilst on holiday, take her out her comfort zone to conquer the Beinn Alligin ridge traverse and scramble across the Horns of Alligin), but you can't take the Erskine out of the girl? No? Oh well you have now, and here is my report of that saying... . 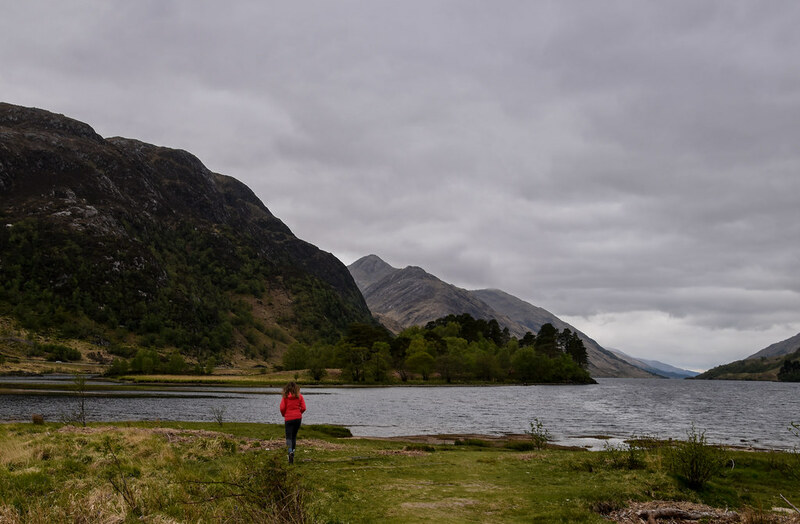 Since becoming addicted to Scotland's hills, the appetite of a staycation has been transformed from a perceived cheap, wet, cold and midge-infested holiday to a delight! I would pick this over Tenerife any day of the week! 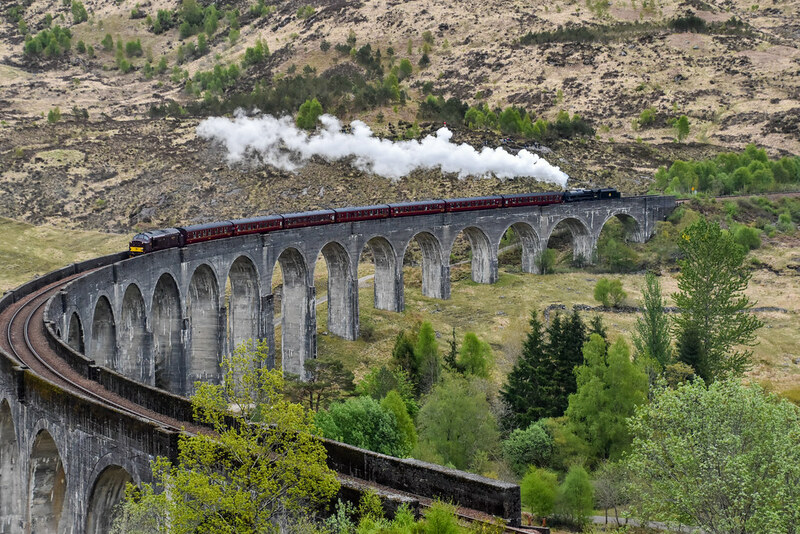 The Glenfinnan Viaduct and Loch Shiel have been on my list of places to seen for at least a number of years now (& no I'm not a totally daft Harry Potter fan!). Train came from the wrong direction and threw me completely! 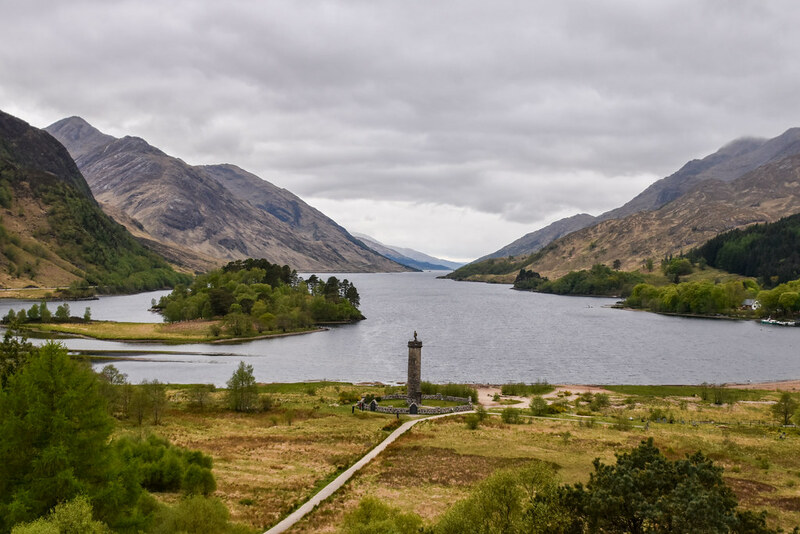 Whilst I really enjoyed Glenfinnan, the sheer footfall, quite literally coach loads, almost takes the shine off. In my head I pictured everything being remote and nearly desolate, in reality it is just off the main road! 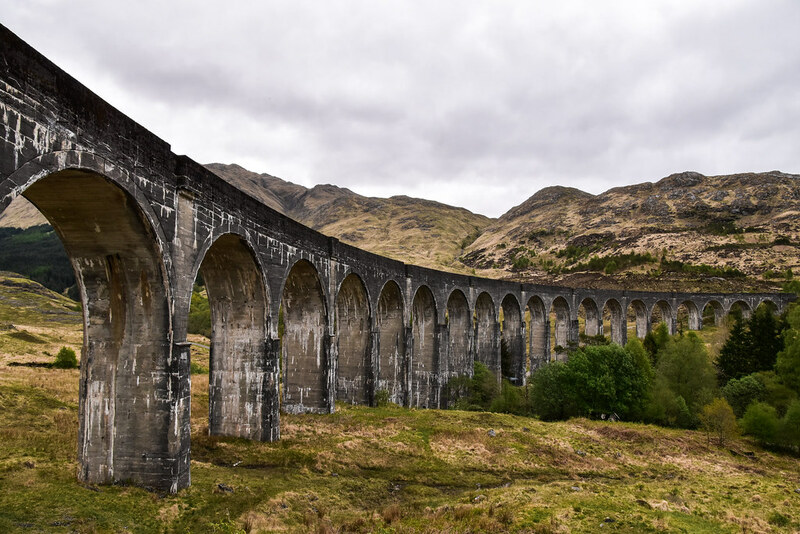 I'd love the viaduct if the only way to ge there was a 10 mile walk . Is that selfish? 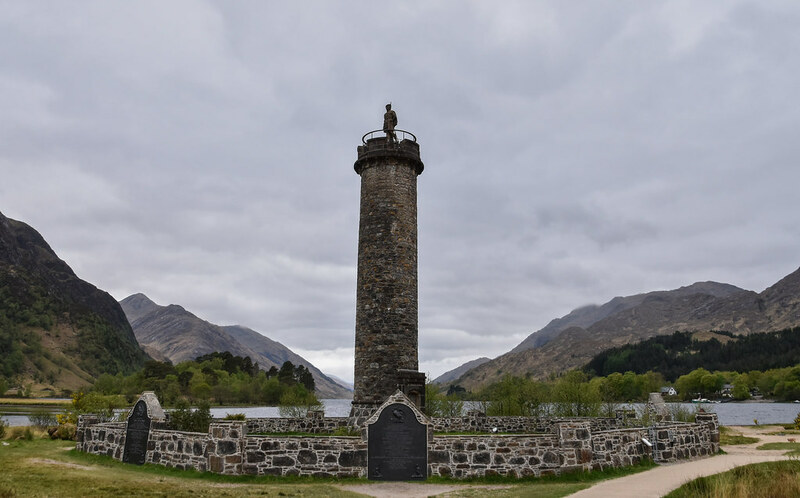 Next up was two days in Fort William. 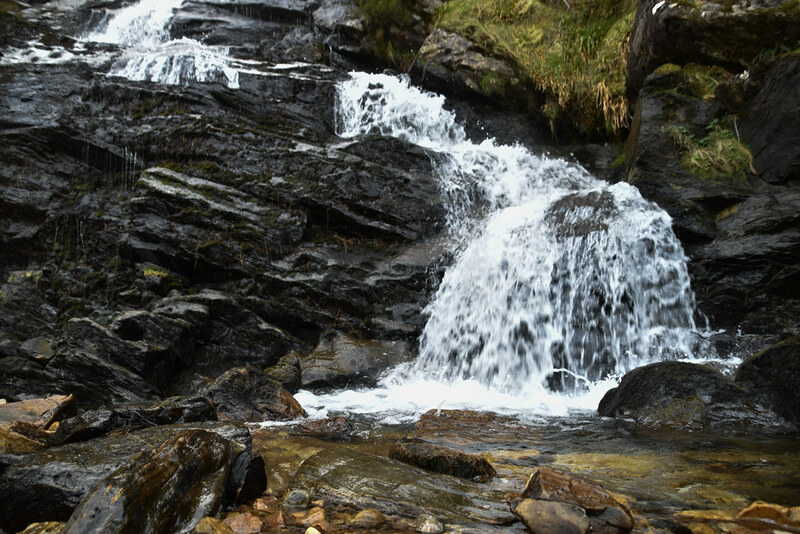 First on the agenda was a return to the Steall Waterfall - this time it was a drive to the Upper Falls car park! 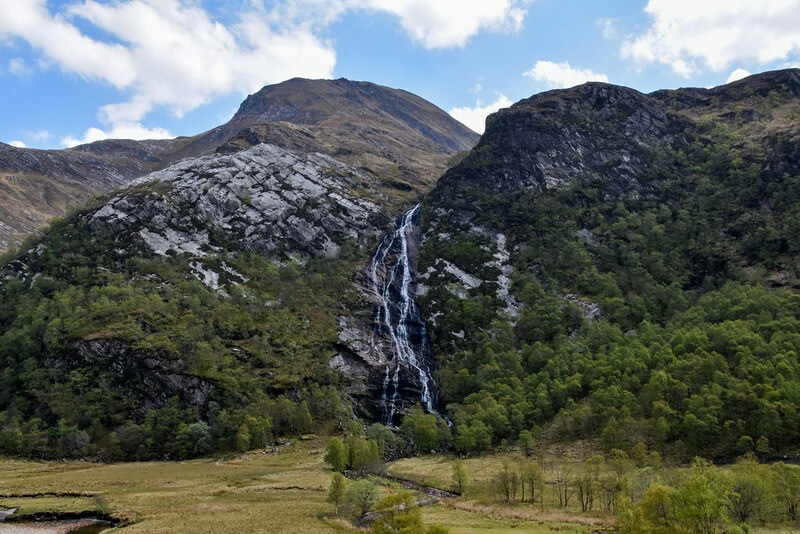 For anyone that read my previous report, only three days early I was camping high on the Ring of Steall so it was rather less exhausting just walking into the waterfall. Glorious sunshine out in force again! Still trying to master this long exposure malarkey! 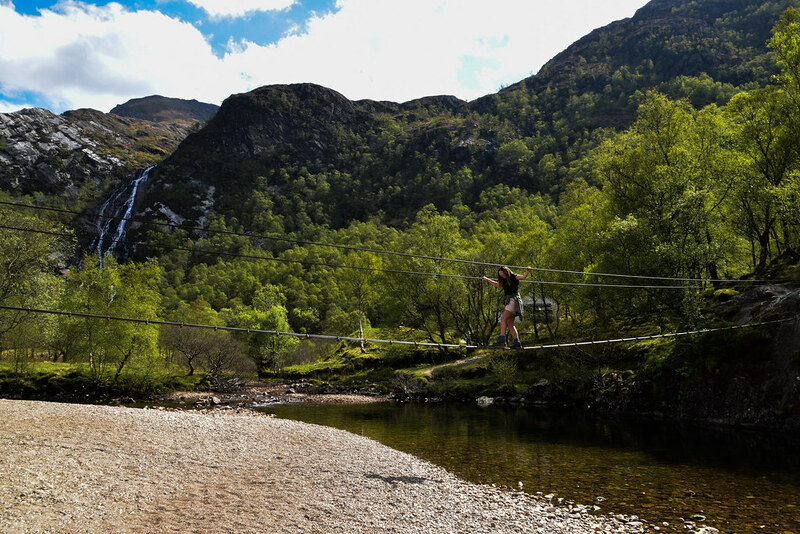 Eilish and the Steall Bridge, I think deep down you always want a splash don't you?? 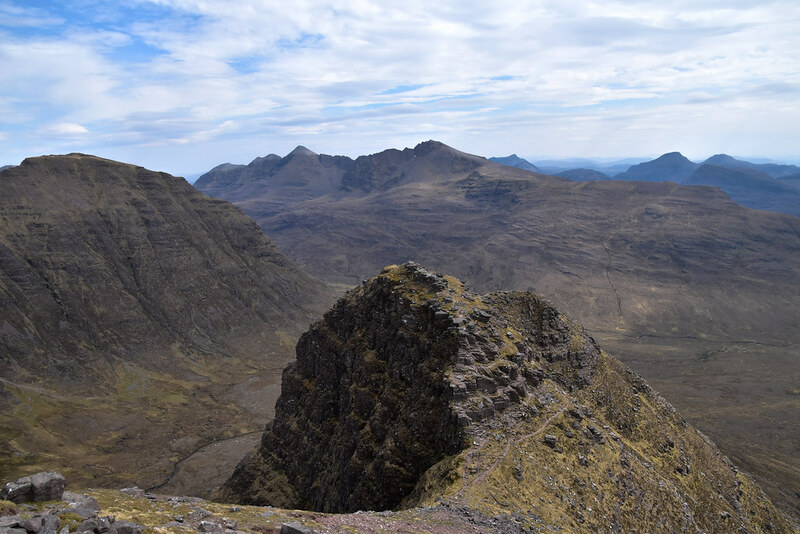 Before long it was Thursday afternoon, the weather looked good up North West so the question of "will we go up a munro?" was met with the perfect response, "yes!'. After a while I decided I would settle for meeting two out of the three criteria ! 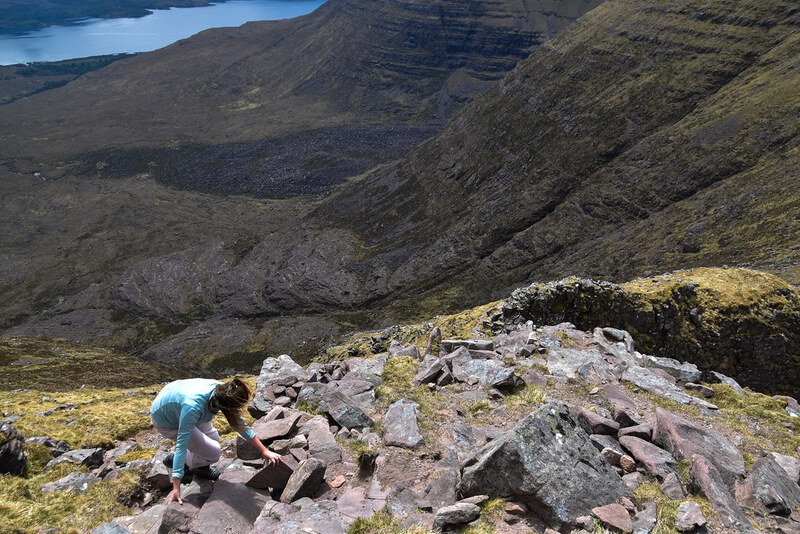 This was the first (hopefully not last) munros I had gone up with Eilish, so my main concern was they can't be "boring". If they come across as boring it is harder to explain why I disappear most weekends . After a 05:30 alarm we set off from Fort William hoping to get to the start of Beinn Alligin in reasonable time. (I have to write this down in case I forget in the future) THE DRIVE WAS INCREDIBLE - there was hardly a single car - I think we drove for about 90 minutes before we got stuck behind anything - the perks of an early rise ! 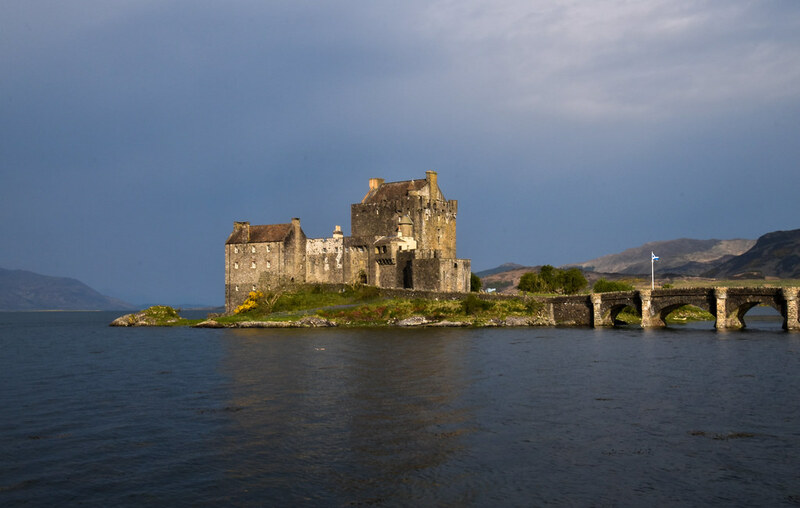 We did stop for some photos right enough - early morning at Eileen Donan Castle. 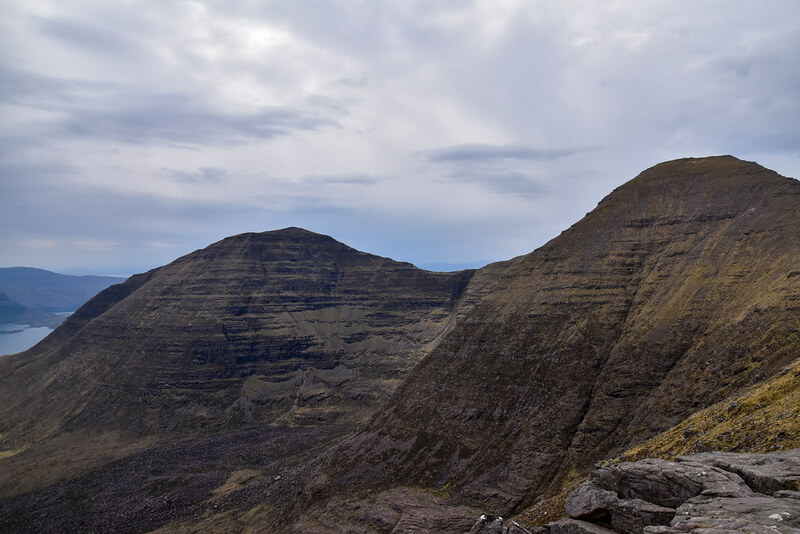 Beinn Alligin Ridge Traverse, i.e. the actual Walk Report. 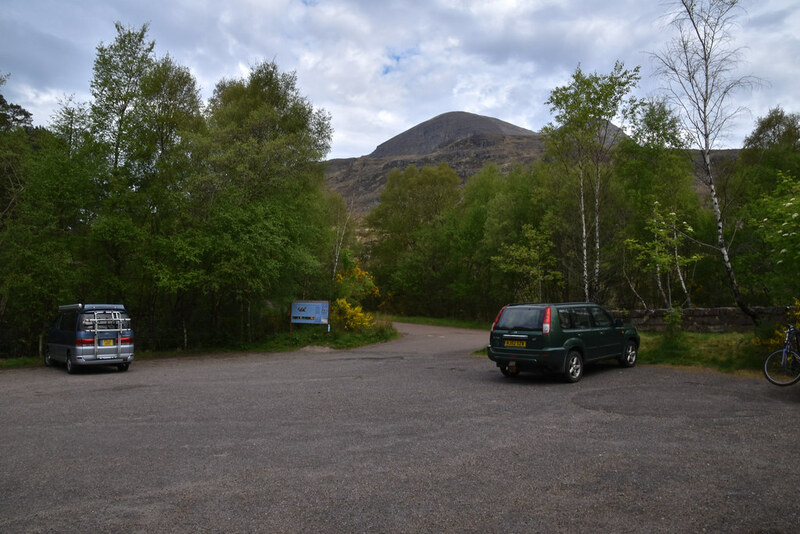 For me, finding the correct car park always seems to be the most stressful park of any walk, so once I have set off it is normally all about enjoying the views! The start is relatively easy going, but you do seem to gain a lot of height quickly. 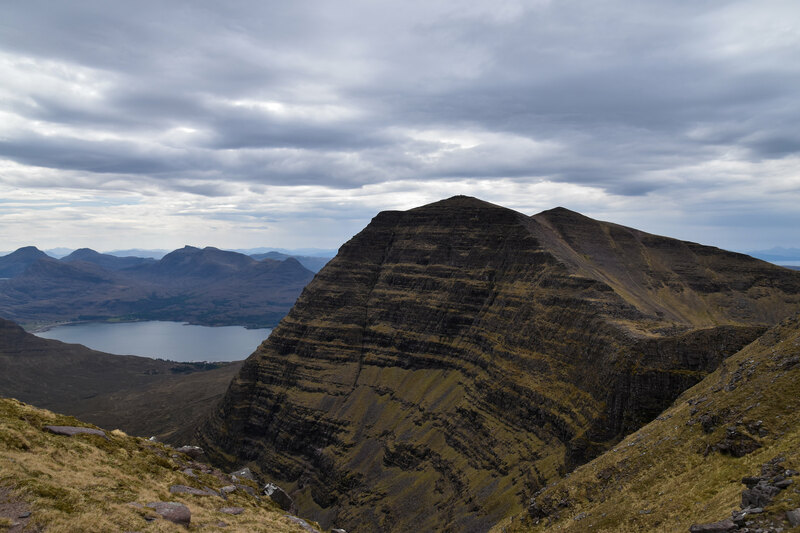 Tom na Gruagaich would be my 64th munro, and only 15 minutes into the ascent I had never heard so many revisions of "am I going too slow" . Remember it's not a race! Still a long way to go up. Tom na Gruagaich straight ahead and Sgurr Mor on the right. 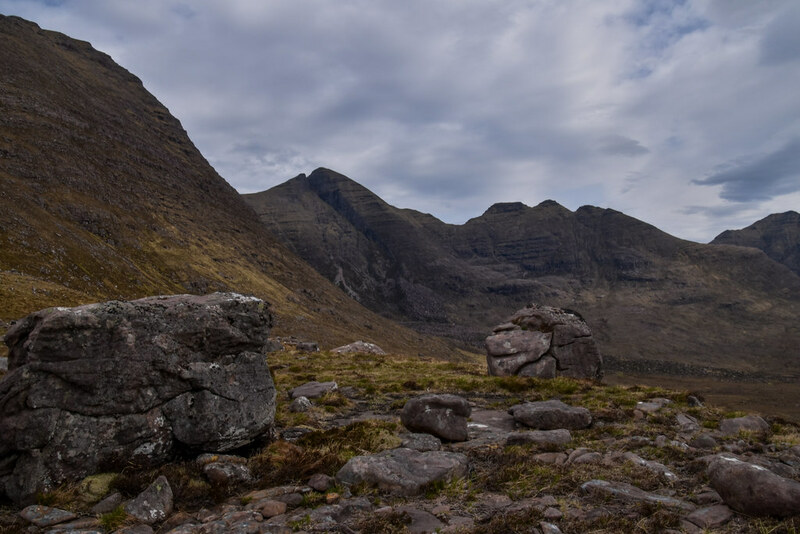 I like boulders - and the three horns of Sgurr Mor in the background. 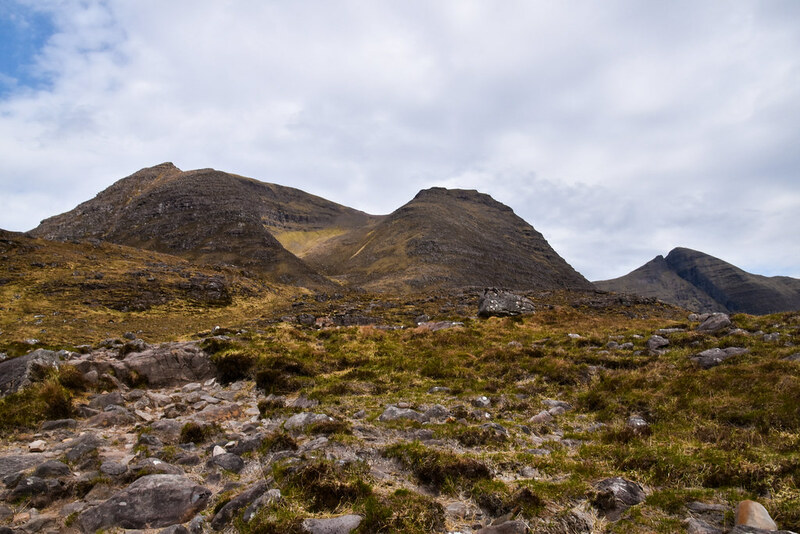 Now that we were far enough away from the car and just about ready to approach the final push towards Tom na Gruagaich I decided to mention the three horns would hopefully be the the final part of the day. I must admit at this angle they don't appear too challenging so everything was approved and we carried on. About 30 minutes after setting off we seen a group of 10-12 troops who appeared to be bombarding up the hill. I had hoped they'd go flying on earlier so they wouldn't appear in all my photos but surprisingly they hadn't caught up. One man in red went past us, seemingly putting in little or no effort, hands clasped behind his back. It was almost as if he was super human, not even a drop of sweat - he was referred to as Red Man for the rest of the day. The man. The myth. The legend. 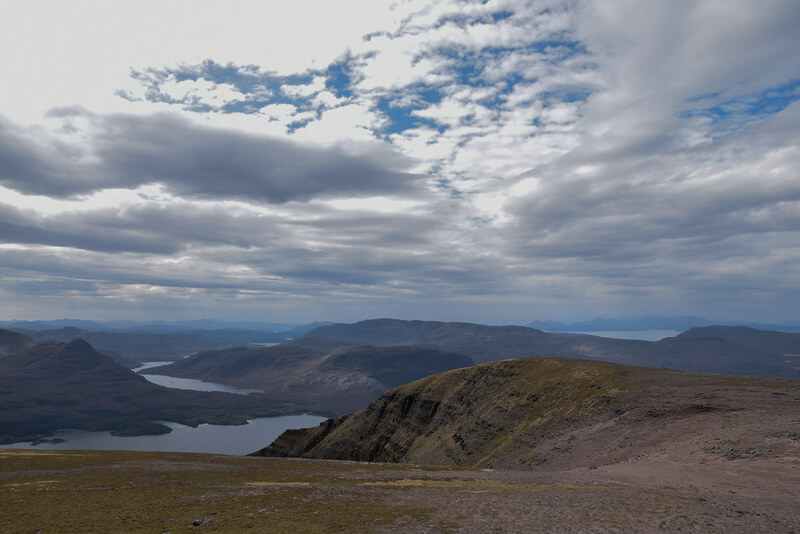 Once at the summit of Tom na Gruagaich we did bump into Red Man, but he left towards Sgurr Mor almost immediately after we arrived - Eilish must have smelt really bad?! . We stopped on top of Tom na Gruagaich and sheltered from the little wind that was around. 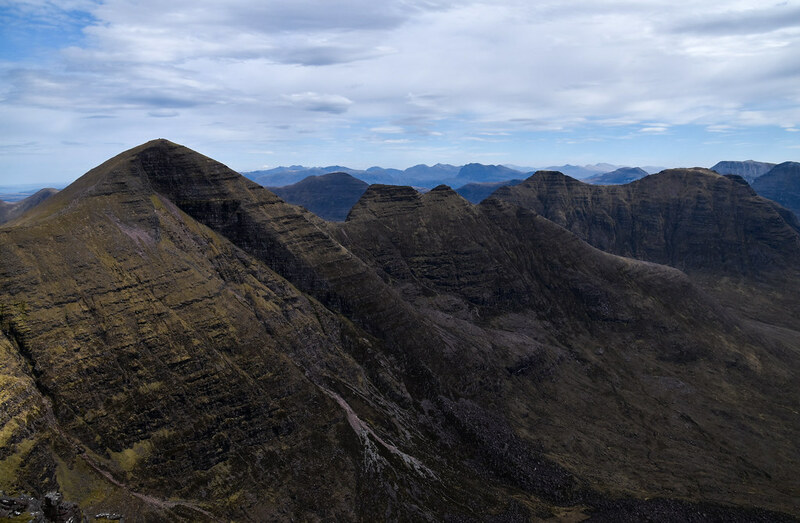 Out of the previous 63 munros, this must be up there with the best panoramic views. I had no idea where to look, everywhere was spectacular. Spectacular is subjective, so feel free to make your own mind up! After demolishing part 1 of lunch the first sub-group of larger group mentioned earlier on had made the summit of Tom na Gruagaich. "There's no chance Dave is gonna do this once he sees it from here!!!" 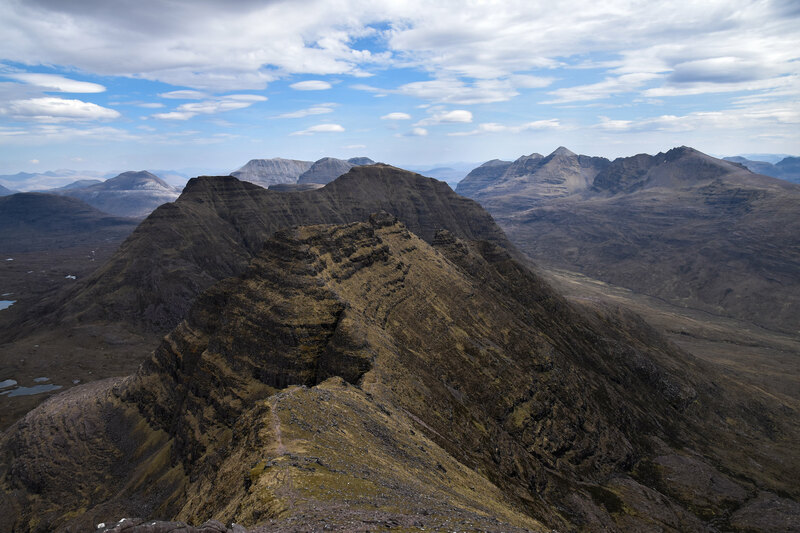 They were of course referring to the horns leading off Sgurr Mor . Already feeling slightly sorry for poor Dave, we demolished a Peperami and made the first descent of the day. The lowest point looking back to Tom na Gruahaich. 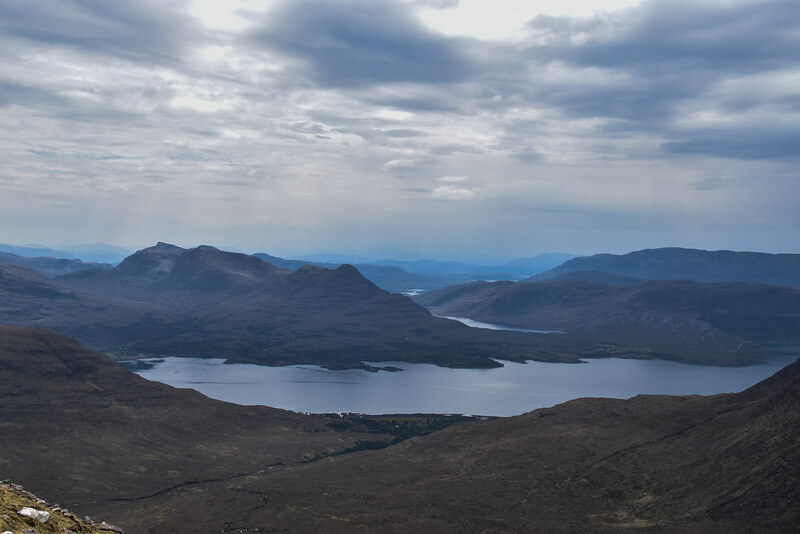 These hills in Torridon are far from the highest in the land, but wow - they come across as mighty! 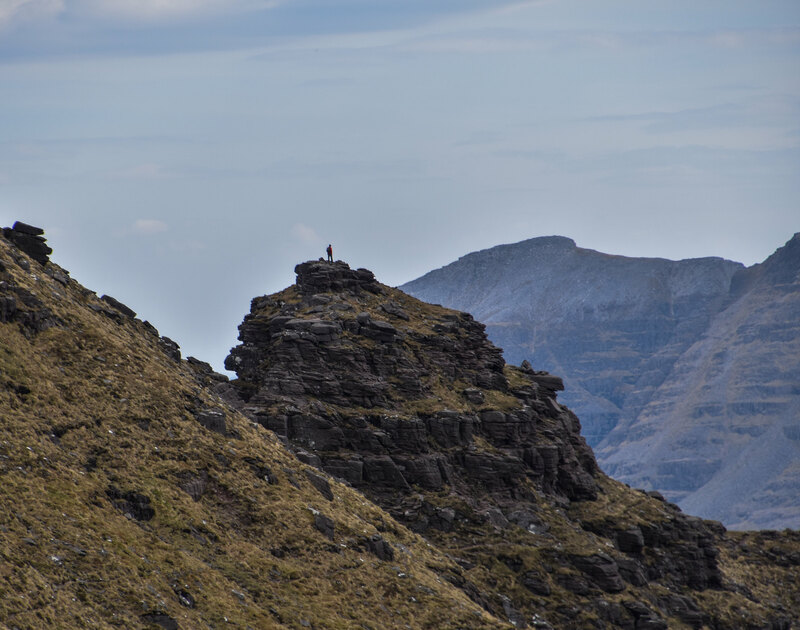 Talking of mighty, we have had now reached the second munro of the day, and looking back it looked like Dave and co. were also heading in the right direction. 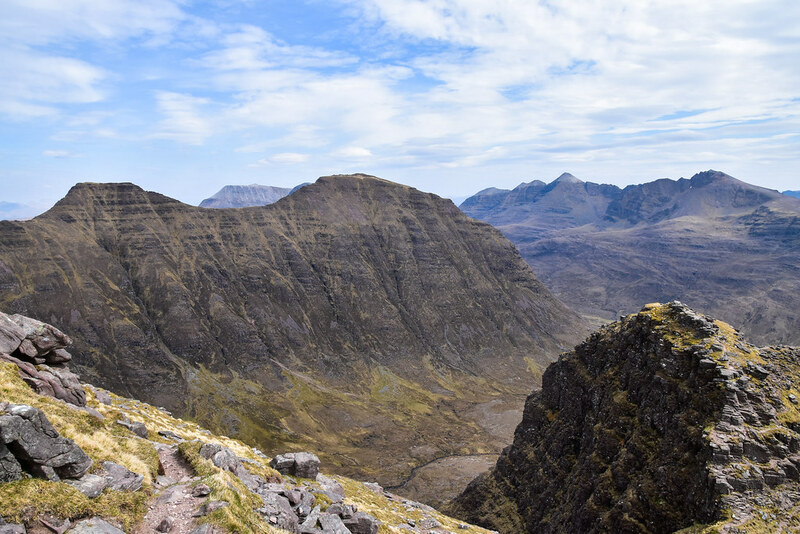 From nearly all of my previous munros there has rarely been an occasion where the route home has been more technically challenging than that required to bag the summits. 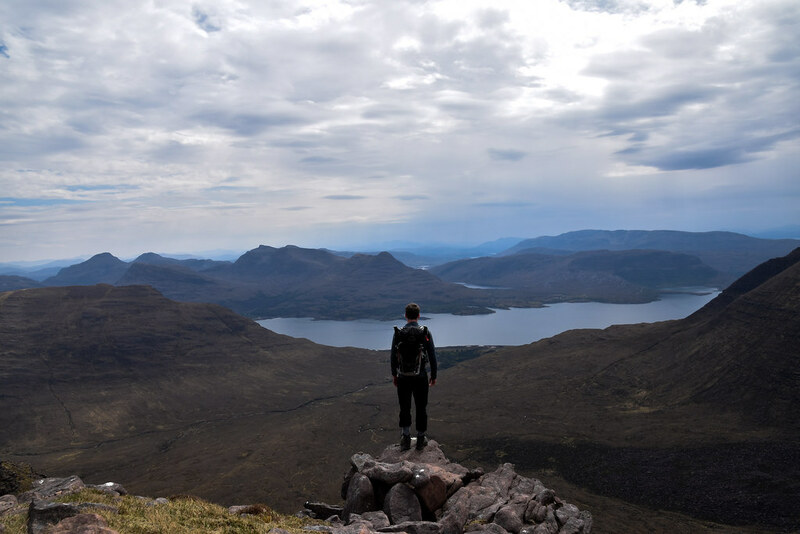 Sitting on the summit of Sgurr Mor, something felt odd. A quick panicked check (we all do it!) for phone and car keys confirmed they were all in good order. It took me a while to note what was different... Eilish was dead silent . I emphasised we still had the option to retrace our steps and that I wouldn't mind (white lies are okay, right?). We spun the scenario on its head - truthfully you will never know until you try. It is just one step in front of the other, the weather conditions couldn't be better. Before long I got the all clear to proceed (subject to possible tears and having to stay within touching distance). You dancer! Eilish out of her comfort zone. Trying to keep the mood light we kept wondering how far ahead the Red Man was, and if Dave can manage so can we! We found Red Man on one of the horns. The first ascent up to the horns could easily be described at the most exposed. 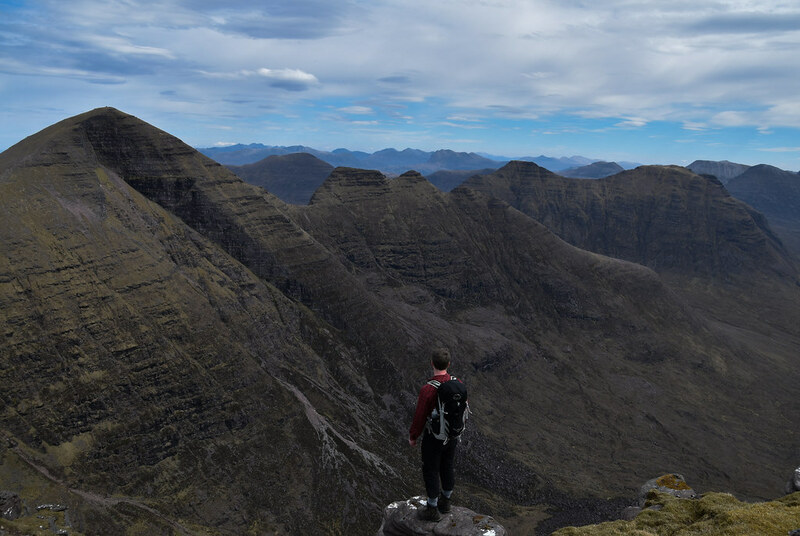 It definitely requires a bit of scrambling, but the views are worth it! "Look how amazing the rock formation is...", "I'm not turning around, can you stop taking photos? 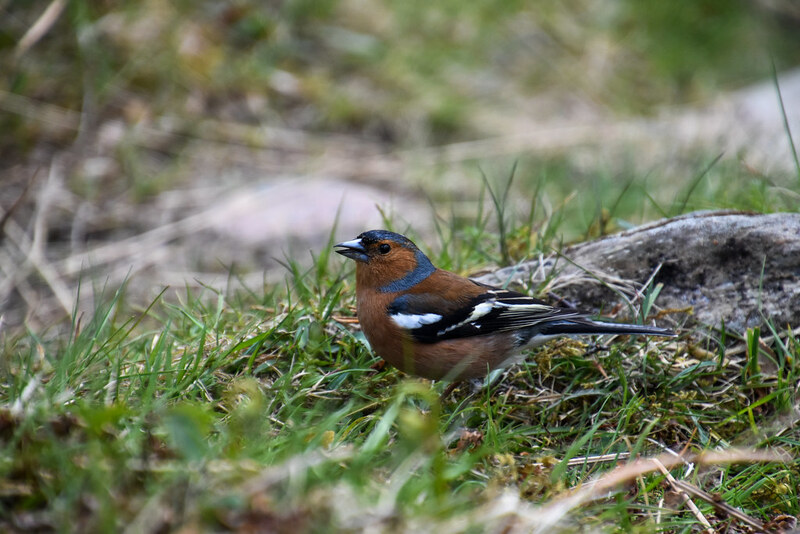 ", "Come on you're nearly there, I'll buy you a drink once we get to Gairloch", "A drink? You can buy me.........."
Looking towards the final horn section. After a bit of persuasion to avoid any bypass routes we had made it to the top. This one was slightly open to the elements so it was decided we wouldn't spend long here . Looking back to the two new bagged items! The descent down is brutal and feels as if it was never ending. Fortunately by now Eilish had regained her chatter-ness and found some hidden levels of confidence, it was almost as if she was finally enjoying her day . Getting down to level ground was incredibly rewarding on the old legs. "are you glad you we didn't turn back?" Before long we were back at the car, roughly 8 hours after setting off. 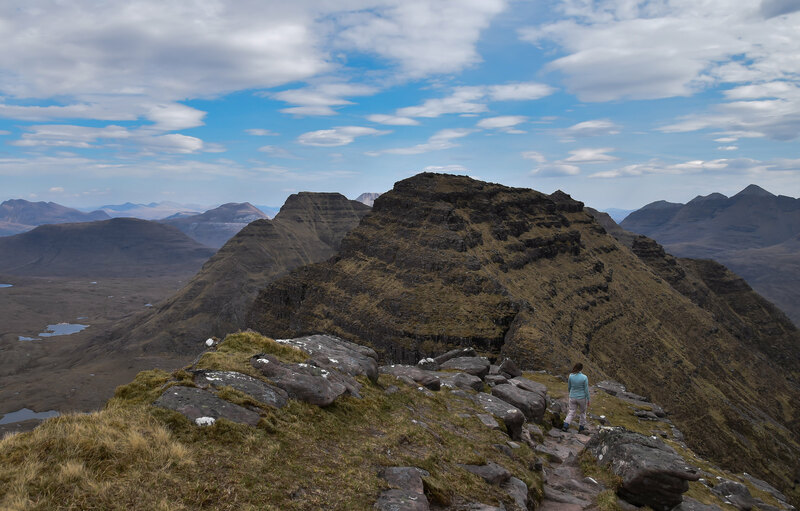 For me, this outing has to be up there with one of the best day walks in Scotland. 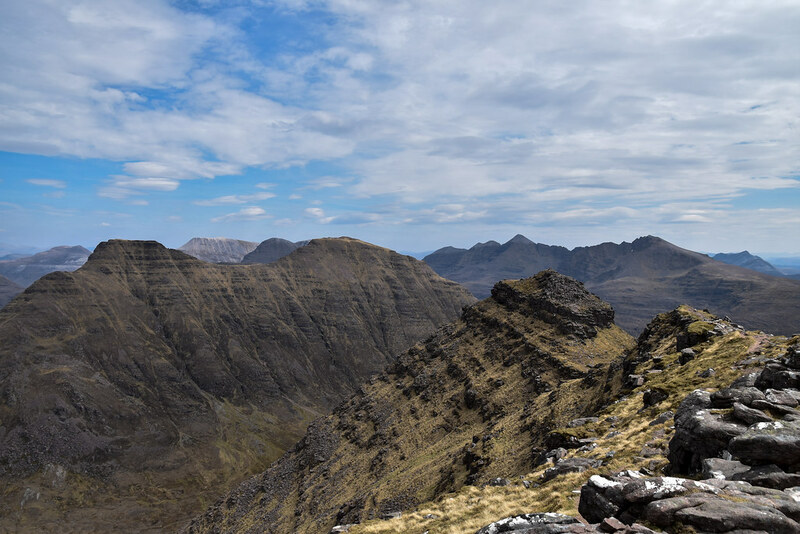 You get two fantastic munros, panoramic views, epic (but easy enough) scrambling and you aren't pushed for time! Without a shadow of a doubt will be back on these hills - hopefully with a tent, or an ice axe! 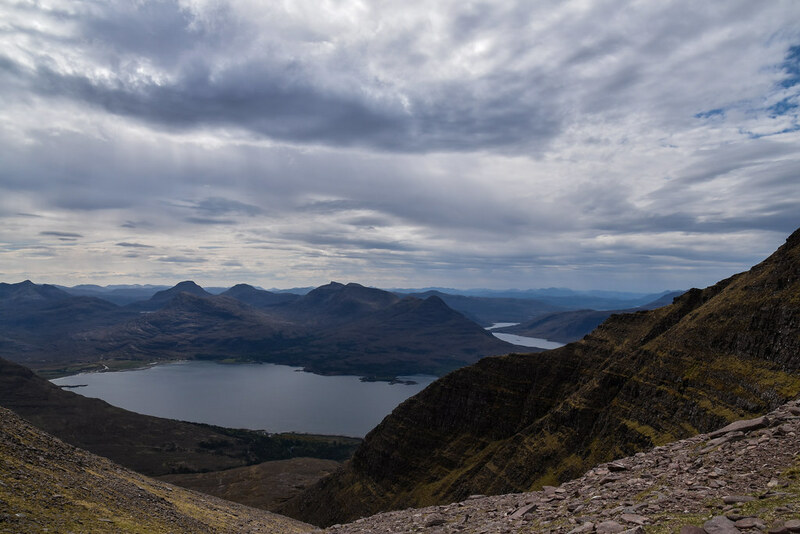 With experience and slightly more confidence my perception of being on hills like these has moved from a potentially daunting challenging, constantly fighting the "can I actually do this" to pure excitement of the views and photo opportunities . Obviously not just for this reason, but it was brilliant to have Eilish tag along as a gentle reminder that everyone's perception of "a challenge" is different! So the real congratulations from these two munros go to Eilish for stepping outside her comfort zone (in as safe a scenario as possible, might I add!) - you may join in the future (no more free dinners right enough!). 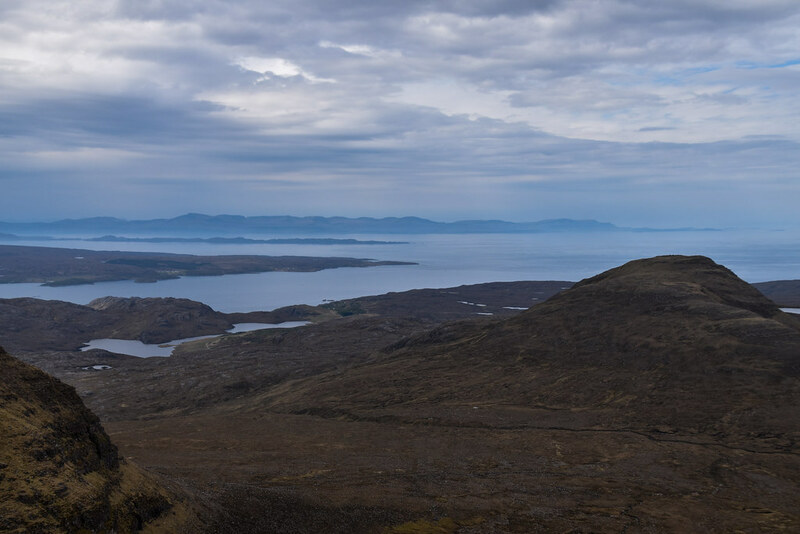 We had two days to spend in Gairloch which I have condensed into my four favourite photos. 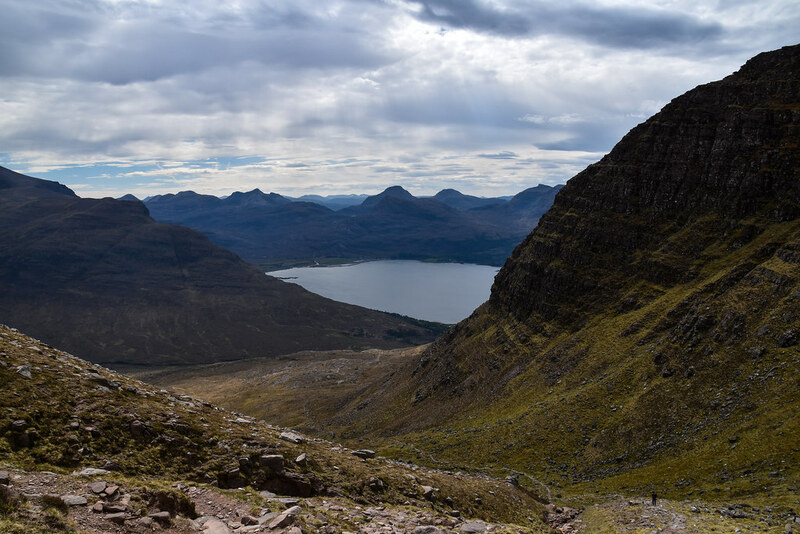 1 = Slioch in the Sun! 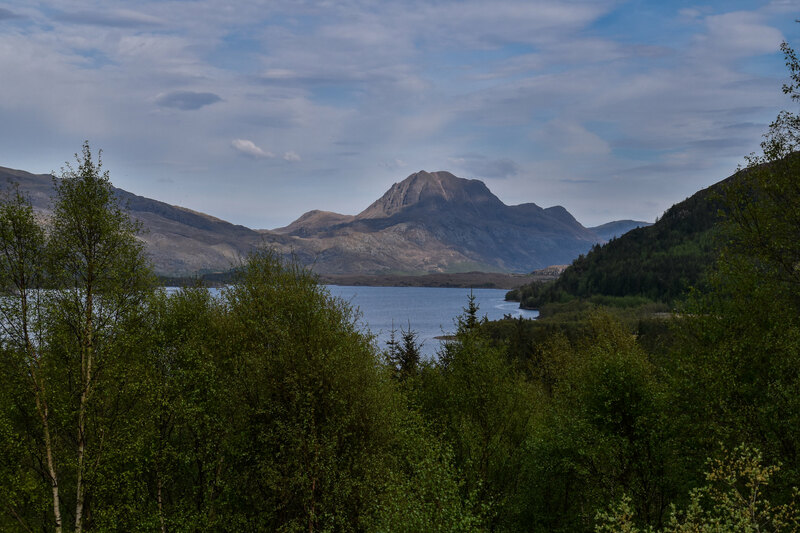 When we first drove along the side of Loch Maree I was in complete awe at the surroundings, in particular Slioch - it really is a monster of a hill. 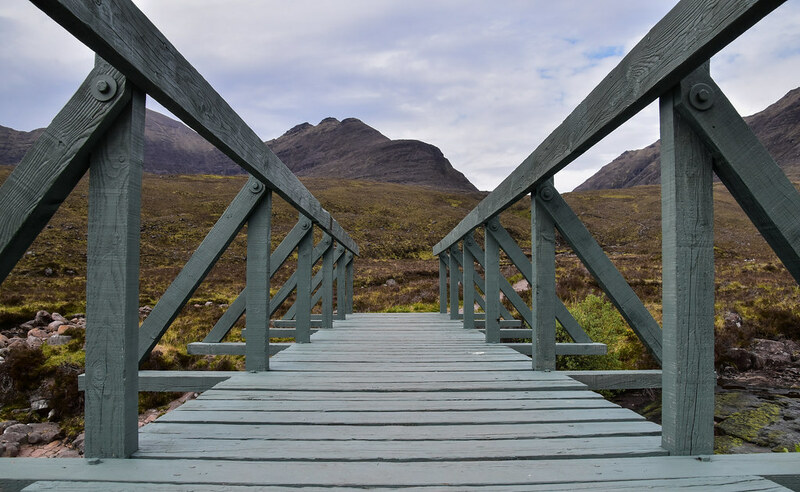 Our experience of Gairloch was rather unexpected - the scope of places to eat, and more importantly drink is minimal / non-existant. I wrongly made the assumption that a lovely seaside town would be littered with cafes and old-fashioned pubs - couldn't be further from the truth. Nevertheless there is no taking away from the surroundings! 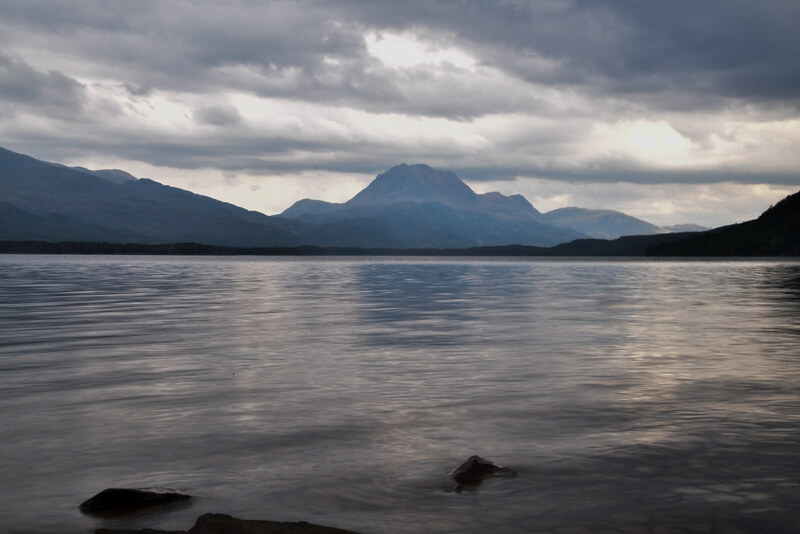 For our final day in Gairloch the weather finally began to turn. The weather had be perfect since I set off on the Ring of Steall (previous outing), and held right through until we were due to head home - perfect! 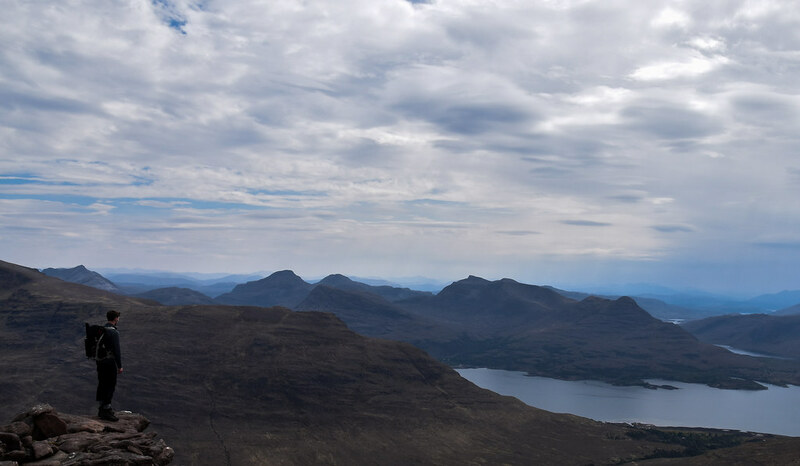 Fortunately the shifting weather did allow for a different perspective of Slioch, which meant picture number three! We planned the route home to Aberdeen to conveniently pass Glen Ord distillery . 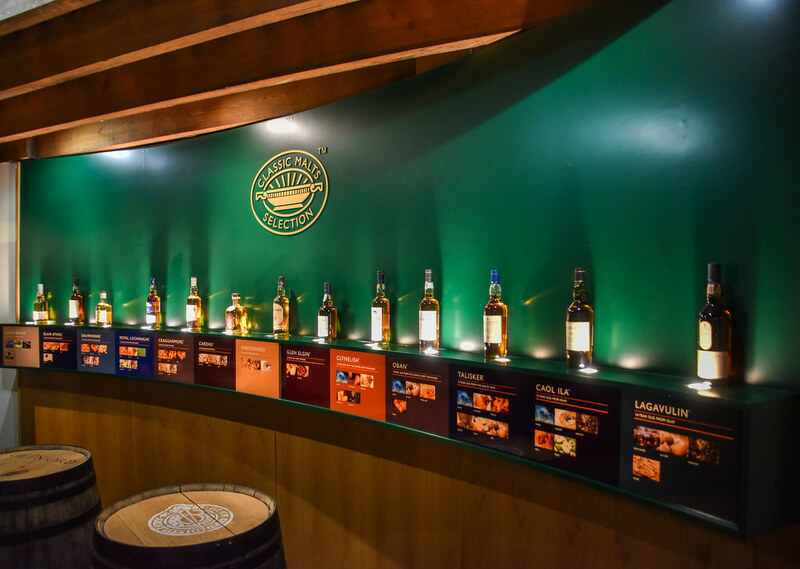 Unfortunately driving has its downsides when it comes to tasting, but the tour itself was a good way to end the staycation. Treated myself to new bottle and sourced Dad's birthday present. 4 = Fuel for the hills! I'm not entirely sure there is a way to summarise this holiday and do it justice. Simple put it had a bit of everything . Staycations are in no uncertain terms the best type of holidays! The next big staycation lined up a spot of island hopping with the tent across the Outer Hebrides in September - hopefully get a wee glimpse of the Northern Lights for the first time. I should maybe put a limited on these Walk Reports because they are taking longer to upload / process photos and write than it takes to bag the hills! Either way I'm now 23% through my own edition of the munros. 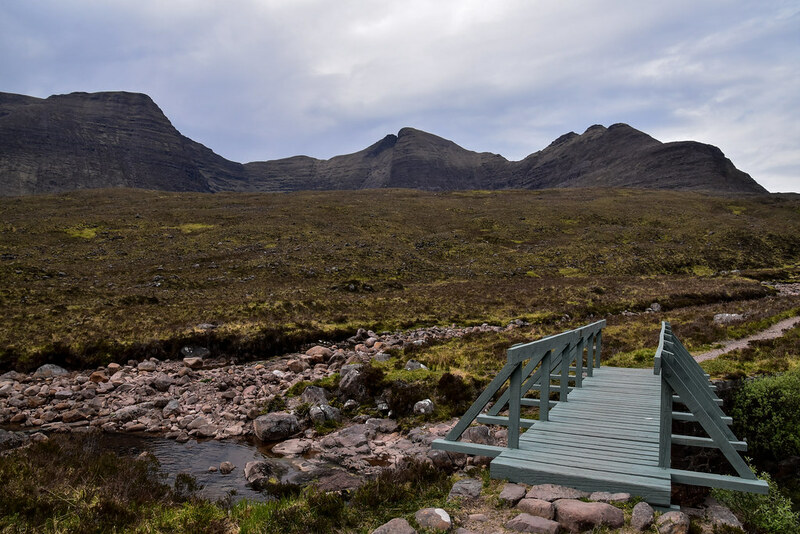 Re: Torridon - "A Drink?! You can buy f&@%ing dinner!" 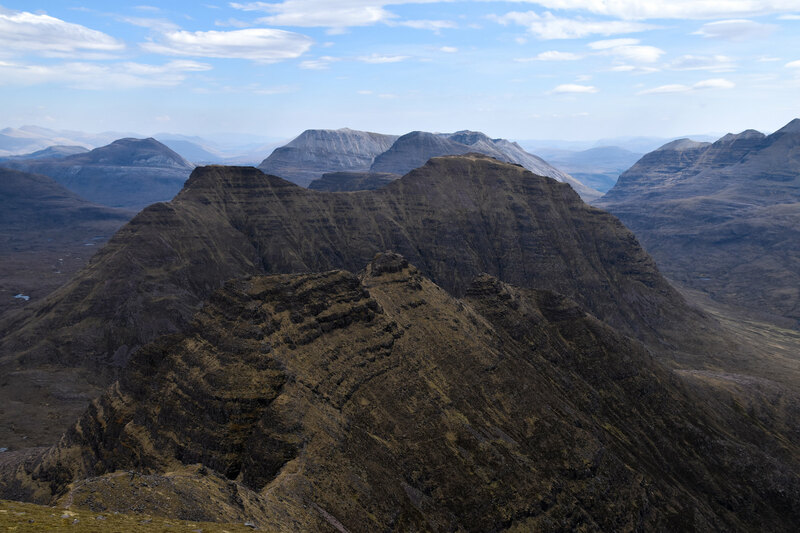 Some of the best pics I've seen of Alligin - this is one I still have to do. I love the enthusiasm that comes through in your report. And the piccies ain't bad either! As for returning with tent or ice axe. Definitely a plan. Though the latter brings a very different perspective to the Horns in some conditions, as we've found before! brilliant! Such an enjoyable and amusing read, well done to Eilish for stepping out of her comfort zone, just like my other half did recently on Goatfell and Stacach. 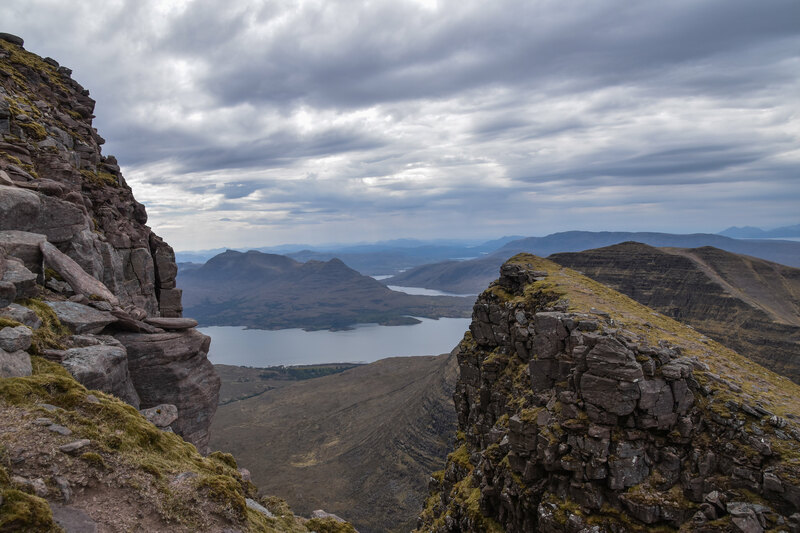 Looks like Torridon has bagged another admirer, can't wait to get up there myself. Will probably bump into you as I get the feeling you'll be back... a lot! 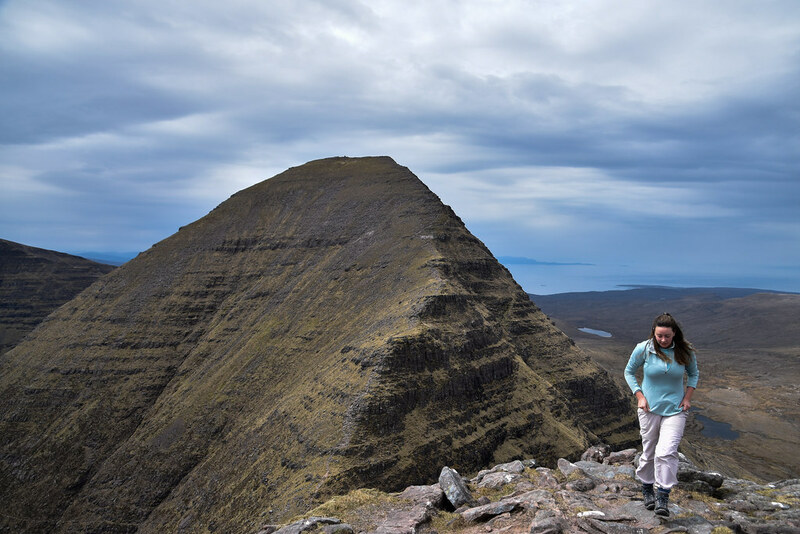 Alteknacker wrote: Some of the best pics I've seen of Alligin - this is one I still have to do. Wow thanks, I have seen some pretty amazing photos from up there recently - make sure you have good weather for this one . I didn't mention: "I can't look or I won't move any further"